Kat and Karl : HAPPY ONE YEAR!! Anna and Gino Caira! 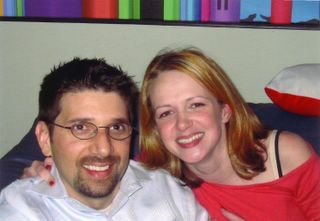 My cousin Anna and her husband Gino celebrate their one year wedding anniversery May 28! afsdf65g Reading is important because it develops the mind. The mind is a muscle. It needs exercise. Understanding the written word is one way the mind grows in its ability. Teaching young children to read helps them develop their language skills. It also helps them learn to listen. Everybody wants to talk, but few can really listen. Lack of listening skills can result in major misunderstandings which can lead to job loss, marriage breakup, and other disasters - small and great. medico chat dermatologo chat veterinario chat Reading helps children [and adults] focus on what someone else is communicating.